They shred with precise efficiency under the blinding, siezure-astic strobes. Ordered chaos with laser sighting concentration. Tormenting punk-rock melodies sewn with sharp, Van Halen-like riffs, pint-sized front-woman Marissa Paternoster screams and thrashes without abandon. But although it seems like they're raising anarchy onstage it's Screaming Females' sense of control that impresses most, like a well trained knife juggler, you cant' take your eyes off them - sooner or later they may draw blood. 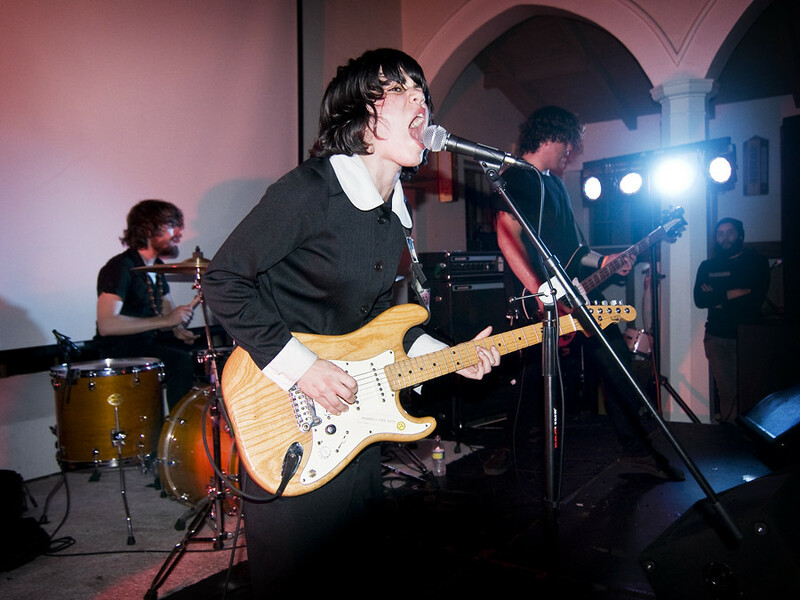 If you haven't seen Screaming Females live yet, you are definitely missing out. The New Brunswick trio just announced they're heading out on a national tour with PUJOL beginning in October. Over 30 dates in one month that will take them to both coasts taking them to major cities like Portland, San Francisco, Los Angeles, Brooklyn, New Orleans and Philadelphia. Check out the raucous live “Boyfriend” video below filmed during the “Live At the Hideout” performance, for a taste of what to expect on tour.